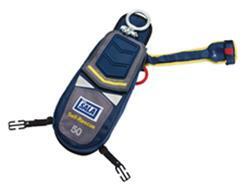 When the clock starts ticking, you need a rescue plan you can count on to rescue you quickly and efficiently: the DBI-SALA Self-Rescue unit is your rescue plan, a flexible device that attaches to your current safety harness and allows you to lower yourself to safety in the event of a fall from height. This simple, fast and effective rescue plan minimizes risk for you, your coworkers and emergency response personnel. With DBI-SALA Self-Rescue, you can work at height without worrying about being left suspended after an arrested fall event. Instead of wondering how long it will take to alert others to your fall, or how long before trained rescuers can gather the appropriate equipment to get you down, you can simply avoid all that and free yourself.